What if you were in love with a serial killer? Or maybe you’re wrong, and every strange feeling you’ve had over the last few months is just that, strange. Marian has SUCH an interesting job. I honestly never knew this was a job option and had my life gone a completely different direction, I could see myself in Marian’s shoes. She works for a conservationist group that does different studies throughout the world. Most of her day is spent outside in the wilderness with a dog by her side. She collects samples, sends them in to be tested, and then scientists can understand how humans or other animals are affecting the populations of certain species in an area. It’s so fascinating! In the course of her work Marian met a man named Tate. They had a bit of a whirl-wind romance while on a job in Canada, but eventually they took jobs where they had to be away from each other and in this time Tate died. Now, Marian is looking back on their time together and realizing that maybe Tate wasn’t who he seemed. She makes a fateful call to Nick, a man whose life project was profiling killers and giving a voice to victims. Nick helps Marian investigate Tate and her suspicions. While this book is not a super fast-paced thriller, it has that element that makes you feel the dark, creepiness just beyond the surface. You keep reading because Marian’s job is SO interesting and you absolutely need to know what exactly is going on and if Tate really is the killer that Marian suspects. Thank you so much to Berkley and NetGalley for sending me this ARC. Synopsis: Marian Engström has found her true calling: working with rescue dogs to help protect endangered wildlife. Her first assignment takes her to northern Alberta, where she falls in love with her mentor, the daring and brilliant Tate. After they’re separated from each other on another assignment, Marian is shattered to learn of Tate’s tragic death. 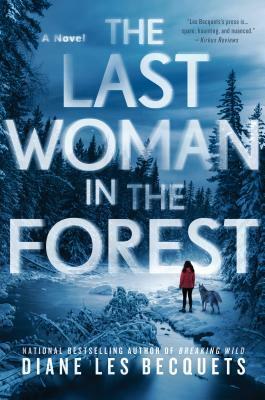 Worse still is the aftermath in which Marian discovers disturbing inconsistencies about Tate’s life, and begins to wonder if the man she loved could have been responsible for the unsolved murders of at least four women. Woah the title of this book definitely drew my attention. I’m adding this one to my goodreads! Yes! That’s what initially drew me too!